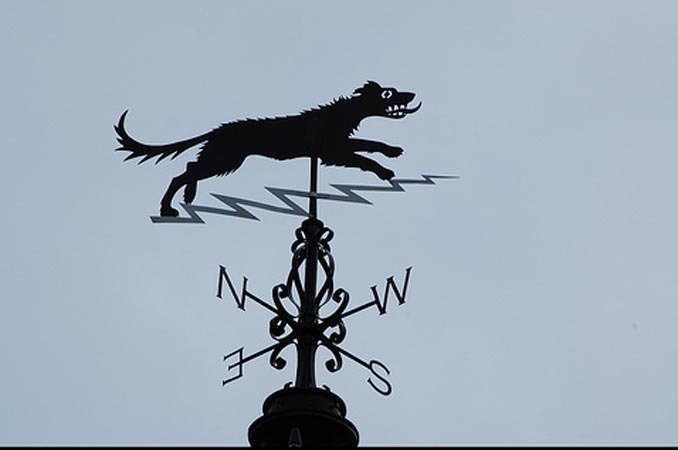 Old Shuck, Black Shuck, or simply Shuck is the name of a huge, phantom black dog which roams, for the most part, the fields, fens and even beaches of East Anglia. 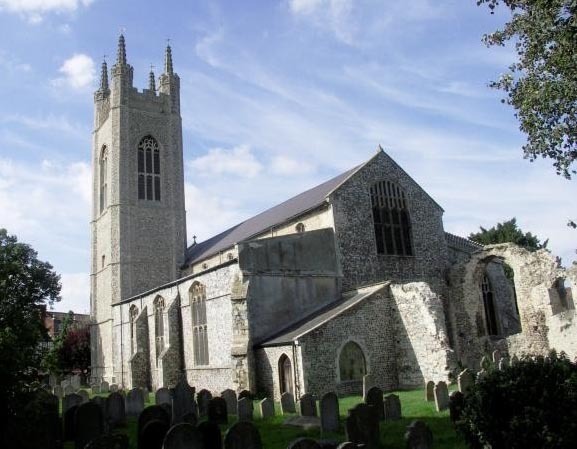 The main areas are Norfolk and Suffolk, but there are also parts of Cambridgeshire and Essex which it is alleged to haunt. His name of Shuck may well come from the old Anglo-Saxon word “scaucca” or “scucca” which means a “demon”, or possibly it is based on the local dialect word “shucky” meaning “shaggy” or “hairy”. There are those who believe that Shuck derivers his name from the Black Hound owned by Odin. This would be a very neat fit, given that the Vikings settled for the most part in the eastern parts of England. Unfortunately, there is little if any mention of any dog, black or otherwise, that Odin owned. He had an eight legged horse called Sleipnir, which gives us the present-day eight reindeer used by Santa Claus, although it may be more accurate to suggest a coffin which is usually borne to its final resting place by four pall-bearers, hence the eight legs. This fine modern statue is in Wednesbury, a town which obviously owes its name to Woden. Odin had two ravens called Huginn and Muninn, who flew all over the world of Midgard, finding out information for their master. Huginn means thought and Muninn means memory or mind. 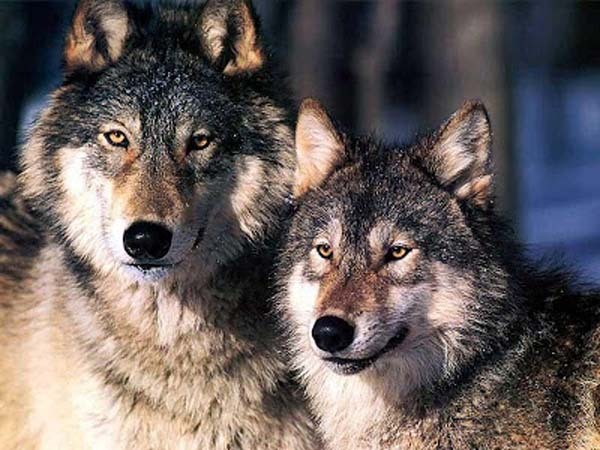 Odin did have two wolves called Geri and Freki, but I have been able to find little indication that he ever owned a dog. Such a domestic animal as a mere dog just would not have been big enough and fierce enough for the King of the Gods. 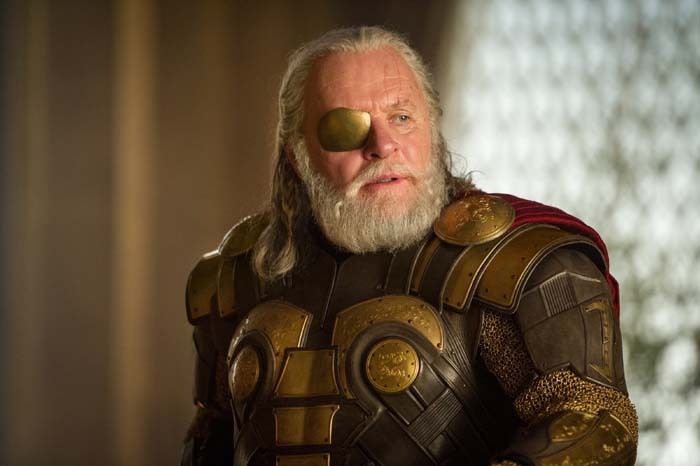 On the other hand, Odin was well known for leading “The Wild Hunt”, which in England seems usually to have been a mechanism for the pagan god to ride his sleigh across the storm tossed and windy night sky, pulled by faithful Sleipnir, chasing Christian sinners or the unbaptised, and then carrying them off in his huge sack. 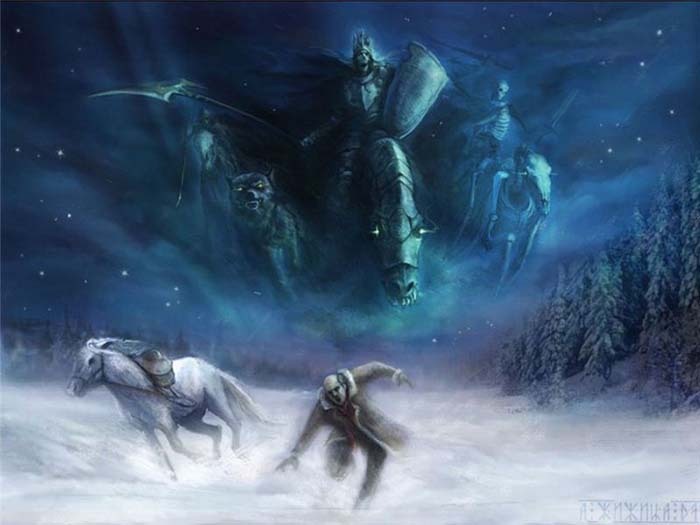 (another connection with dear old Santa Claus).Like any red-coated fox hunter, Odin would always use a pack of dogs, but in his case, it would invariably be the black Hounds of Hell. 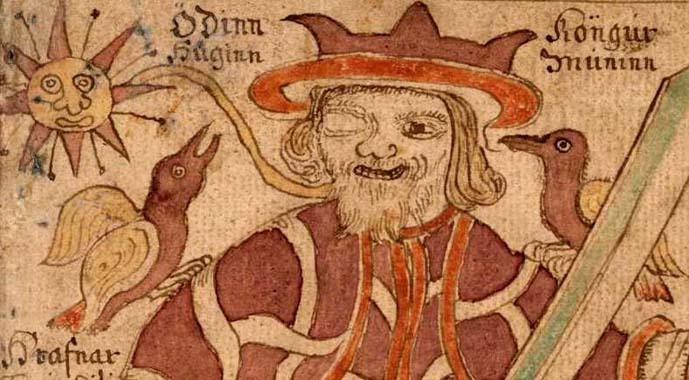 In pagan Scandinavia and northern Germany, this frightening event was called Odin’s Hunt. People who saw it and laughed at it would mysteriously vanish, presumably into Odin’s sack. Sincere believers were rewarded with gold. In the wake of the passing storm, with which the Wild Hunt was often identified, a black dog would sometimes be found upon a neighboring heath. To remove it, it would need to be exorcised. However, if it could not be removed in this way, the hound must be kept for a whole year and carefully tended. We shall see just how this relates to Black Shuck later on. In appearance, Shuck is generally jet black and can be of any size from that of, say, a black Labrador, up to that of a calf or even a horse. The more ancient the mention of Shuck, the weirder he tends to be. Nowadays, he usually has two large bright red shining eyes, but centuries ago he was often seen as a Cyclops with only one eye. He can also be invisible, so that you might just hear his footsteps in the road behind you, or hear the noise he makes as he walks across grass, or on some occasions in East Anglia, through the reed bed. Sometimes, all you will hear is just the noise of his chain scraping on the ground. 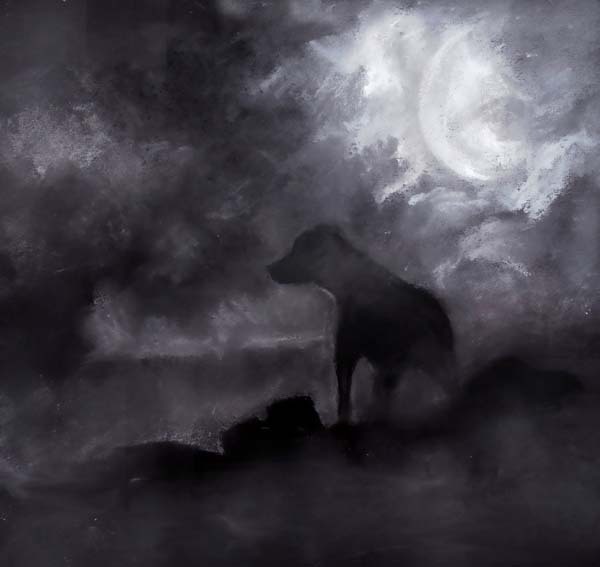 “He takes the form of a huge black dog, and prowls along dark lanes and lonesome field footpaths. Shuck is said to help travellers find their way, and can be protective towards people who are lost, particularly young children. Similarly, he likes to accompany women on their way home, acting as a protector, more helpful than threatening; Writing as recently as 2008, Dr. Simon Sherwood, of the University of Northampton Psychology Department, notes that “benign accounts of the dog become more regular towards the end of the 19th and throughout the 20th centuries”. who is a folklore specialist in East Anglia, and who has collected very many strange incidents over the years, has explained that usually, you would expect to die within a year of seeing Shuck. In southerly parts of Essex, you would expect almost immediate death. Alternatively, Shuck might terrify his victims, but they will continue to live normal lives. In some cases, a close relative of the observer, or a close friend, might die or become ill. If you tell anybody that you have seen Shuck, you will make these dreadful fates even more inevitable. 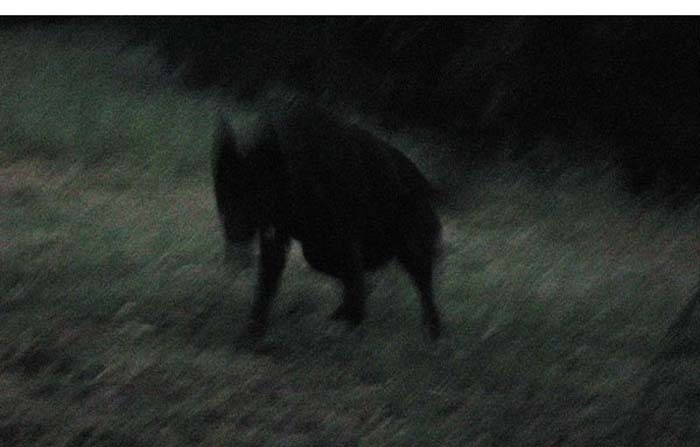 There are a huge number of sightings, even nowadays, of Black Shuck. Mr Bunn has well in excess of a hundred just for Norfolk and Suffolk and parts of some of the adjoining counties. On one occasion, a lady out walking in the moonlight in a country village thought that she had found her sister’s dog wandering off, and went to take hold of it to return to her house. As she reached down, Black Shuck shrank in size until he was as small as a tiny black kitten. Sixty years later that lady will still not go out on her own at night. Another person, a man, was followed across the marshes on the North Norfolk coast. All he could hear was the sound of the phantom dog. Within a year, tragically, his son had unexpectedly died. Strangely enough, though, Shuck is not totally a ghost. 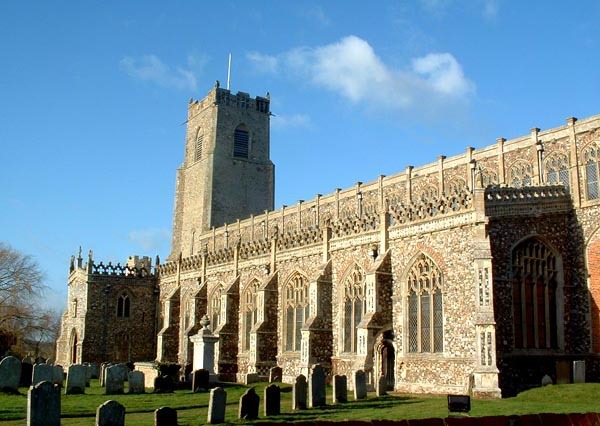 On occasion he has left pawprints before disappearing into thin air, and in a famous episode in Suffolk, he left scorch marks on the door as he exited a church. Apparently, the earliest mention of Black Shuck dates from 1450, and the arrest proclamation for the rebel Jack Cade, when he was accused of having “reared up the Devil in the semblance of a black dogge” at Dartford in Kent. One other chronicler claims that this was not Black Shuck’s only appearance that particular day. Allegedly, he visited another part of this tiny Suffolk market town and claimed two further victims. In Bungay, Shuck is reputed still to meander around the graveyard on dark nights. In addition, there are strange scratches on the door of St.Mary’s Church which were supposedly made by the Hell Hound when he attempted to pursue a victim who had taken refuge in the church. And like so many of the churches involved in the legend of Shuck, St.Mary’s has a square tower. But back to that same day of August 4th 1577. 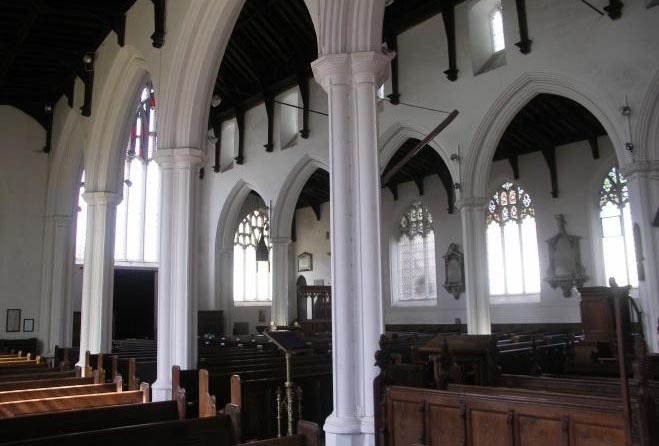 Both the storm and Shuck fled the ten or so miles to nearby Blythburgh, and Holy Trinity Church ……. 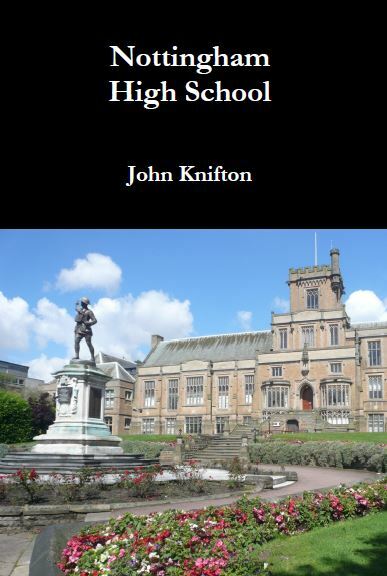 “Black Shuck is said to have burst in through the doors of Holy Trinity Church to a clap of thunder. It must be said though, that the church records at Blythburgh do not necessarily tell the same demonic tale. The episode has certainly been recorded, but as a meteorological one with an extraordinarily violent thunderstorm. 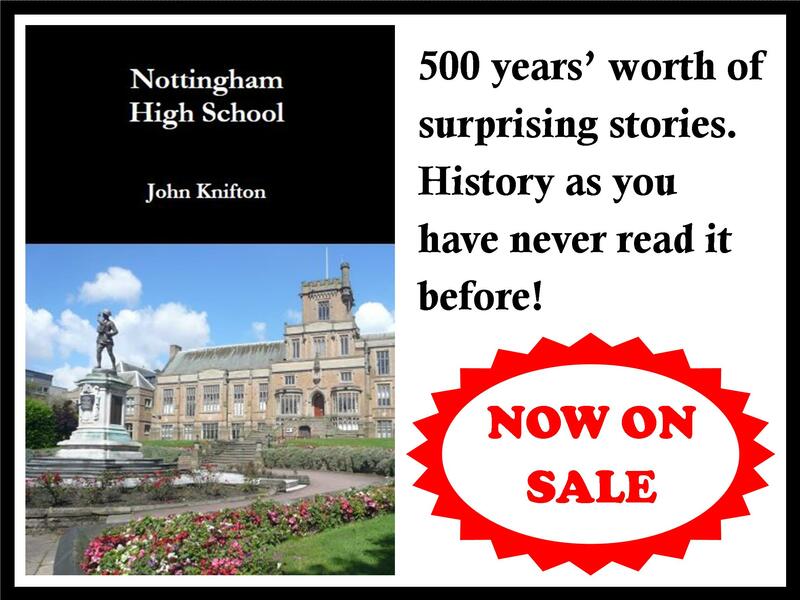 In this story the two people were instantly killed when the bell tower of the church was stuck by the lightning. They had been aloft in the tower ringing the church bells in an effort to dispel the evil spirits which were causing the storm. One interesting detail in the more dramatic version of the story is how when Shuck has finished racing through the congregation as they kneel in prayer he makes his demonic exit through the north door of the church. The North Door is traditionally the way in which evil forces may enter a church, because the north face of the church is considered to belong to Satan. 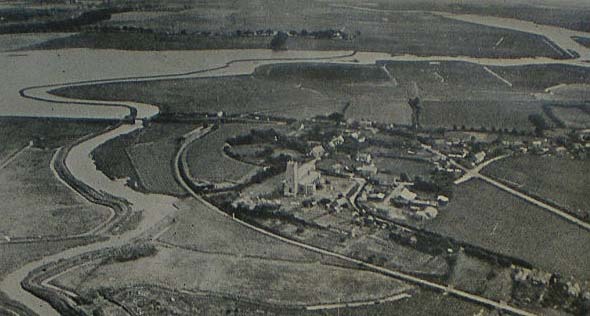 In general, churches were usually built to the north of any roads or paths, because the main entrance had to be on the south side. Since it was common for churches to be built on pagan sacred sites, non-Christian worshippers might still want to come and visit them, and they could then enter the church through the so-called “Devil’s door” in the “heathen” north side of the church. In my humble opinion there is probably some additional connection with the direction from which the Vikings came in the era when they ransacked so many English churches and monasteries. Once again, a church involved in the legend of this sinister black dog has a square tower. Whatever the real truth, though, Shuck has become an integral part of the everyday life of the little town of Bungay. He appears on the town’s coat of arms. His name has been used in various local business enterprises including a restaurant, and the annual “Black Dog Marathon” begins in the town. The nickname of the town’s football club is the “Black Dogs”. And what about Black Dogs in Nottinghamshire? That is for another blogpost. In the meantime, content yourself with Mike W.Burgess’ amazingly detailed website.